Ho Chi Minh City’s Farmers Association announced their intention to support the farmers of Can Gio District with the lawsuit they have filed against the Taiwanese-invested monosodium glutamate producer Vedan Vietnam at a meeting to select the management board on July 2. The farmers’ legal action against Vedan will be held in the district People’s Court in mid-July. The association and farmers determined are seeking VND291 billion from Vedan Vietnam as compensation, having rejected company’s previous offer of VND7billion (US$368,400), which was not enough to cover losses suffered due to river pollution caused by Vedan. For several years, Vedan Vietnam secretly discharged untreated wastewater that destroyed aquaculture and crops surrounding the Thi Vai River, whish runs through Dong Nai and Ba Ria Vung Tau provinces, as well as some areas of HCMC, like Can Gio District. 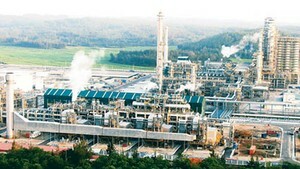 The Dung Quat oil refinery, based in the central province of Quang Ngai, exceeded its designed capacity by 7 percent in the first quarter of 2019, helping it gain over VND 606 billion (US$ 26 million) in post-tax profit during the period.